We are almost through fall and 3/4 of the way through October, which means pumpkins. 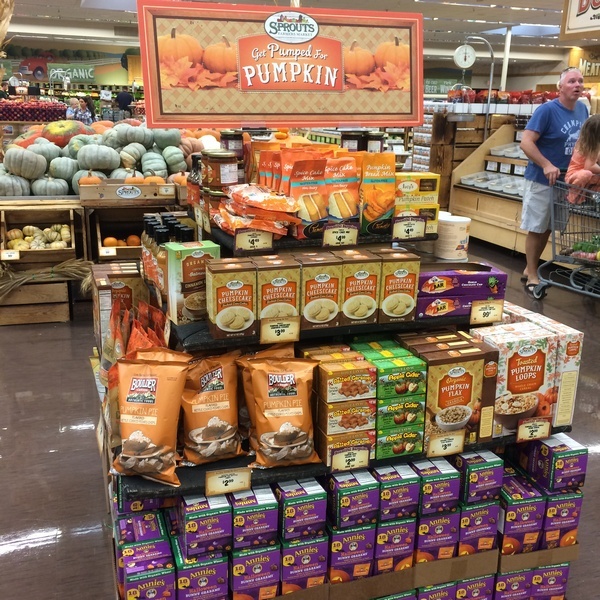 By now you must of have noticed the plethora of pumpkin products that have saturated not only specialty stores but also coffee shops, chain grocery stores and more. The Pumpkin Spice Latte isn’t the only way to get a pumpkin fix these days. Last year I wrote a blog about all of the wonderful pumpkin products that I had seen and this year was no different. 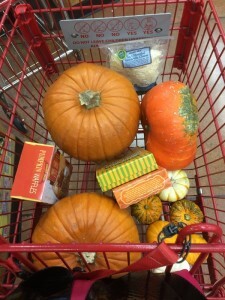 I came, I saw, I bought pumpkin products! This year however, was a bit different. Instead of talking about other people’s recipes and various pumpkin products, I wanted to make one of my own. 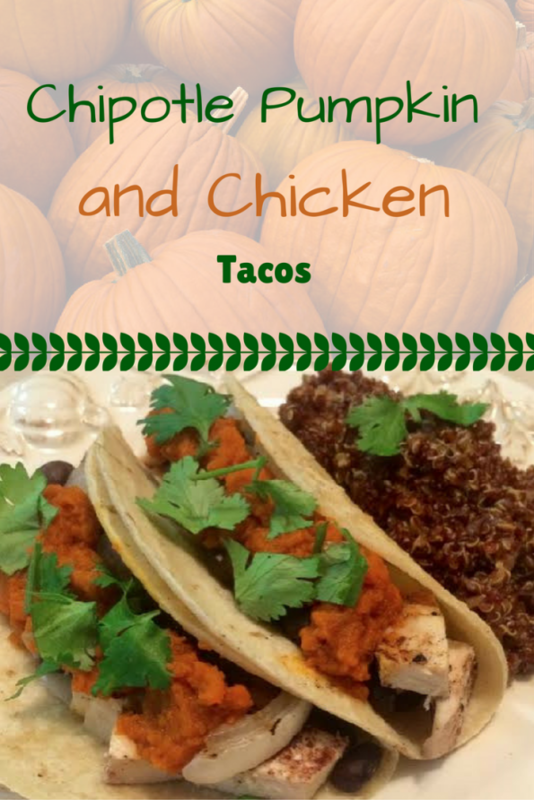 So we put our brains together and with yesterday being National Pumpkin Day and today being Taco Tuesday, it was only natural that we come up with a taco recipe that utilized none other than the fall favorite, pumpkin! Combine pumpkin, chipotle peppers, adobo sauce, salt and water in food processor. Season chicken with pumpkin pie spice, salt and pepper. Grill until cooked through. Grill onion and tortillas until both have light grill marks. Meanwhile, heat beans and puree (separately). 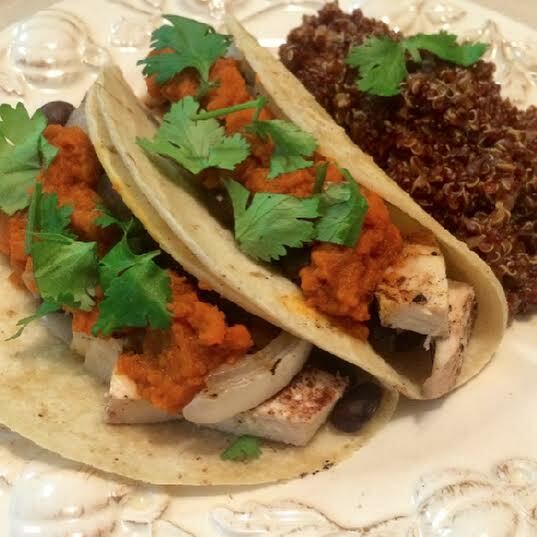 Once everything is cooked fill tortillas with chicken, followed by beans, then onions and top with pumpkin puree. Boneless skinless chicken thighs can be substituted for chicken breasts. WE HAD PUMPKIN TACOS LAST NIGHT! Mmmmm!